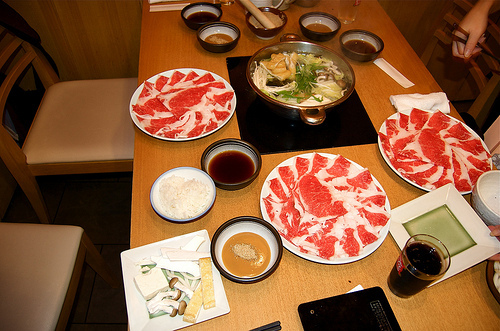 Have you ever had shabu-shabu? 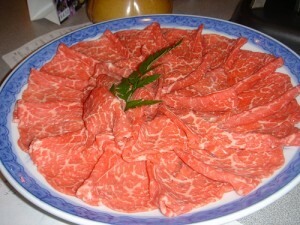 Shabu-shabu is a Japanese table cook dish, which uses thinly sliced meat and vegetables. Now, this is how we make and eat shabu-shabu. First, boil kelp broth in a pot, and then submerge a slice of meat and swing it back and forth till the color of meat turns. 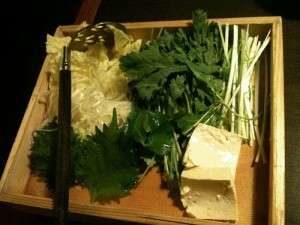 Dip it into sauce, which are usually ponzu or sesame sauce, and eat! After cooking some meat, toss vegetables into the pot. This is a special pot for shabu-shabu. But you can make it with a regular shaped pot too, like in the picture below. The yellow sauce is sesame sauce and the dark colored one is ponzu (soy sauce and citrus). 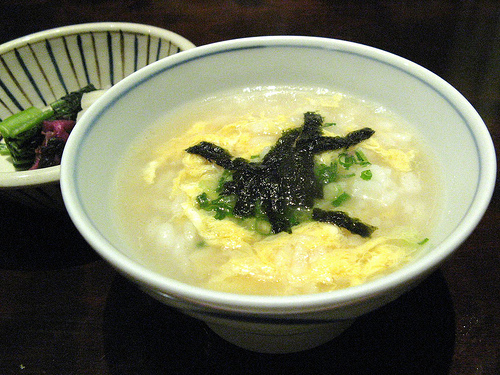 In Japan, it’s common to put some rice into the leftover broth because the broth gets more flavor and tastes so good! 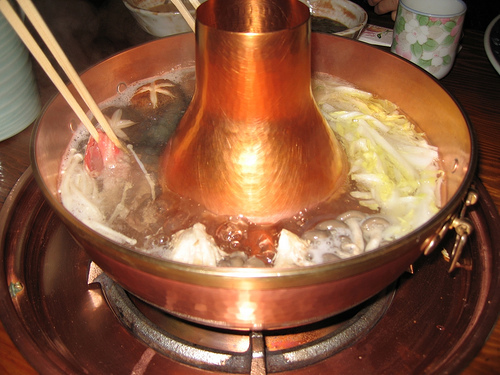 Shabu-shabu is very healthy because it doesn’t need extra oil, and you can eat a lot of vegetables. “Keitai” Web Access: Testing the Limits!